Thirty semi-finalists for the Memorials for the Future competition have been announced. 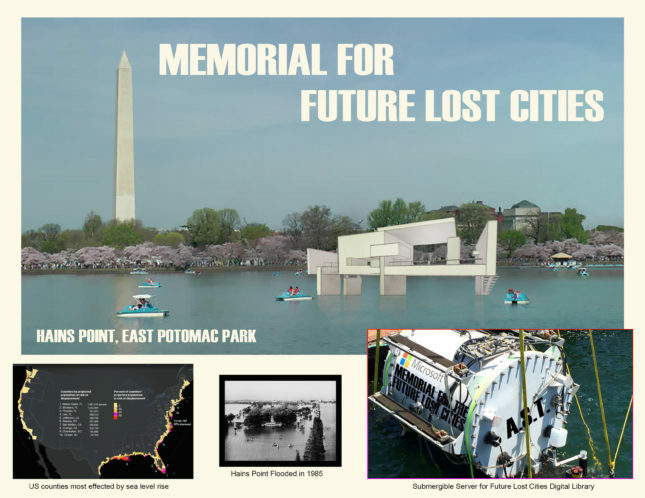 Launched in mid-April, the competition was organized by the National Park Service (NPS), the National Capital Planning Commission (NCPC), and Van Alen Institute, and seeks a design concept for a temporary memorial somewhere in Washington, D.C. (see our prior coverage here). Part of the competition criteria was that the memorial be adaptive to different perspectives/narratives, ephemeral, virtual, interactive, or event-focused. One semi-finalist submission, The Installation of 6 Million Stars, commemorates the victims of the Holocaust. This interactive memorial consists of two joined open triangles whose lights can be activated digitally (i.e. remotely) or by touch. While certain details on this project are forthcoming, the proposal states that selecting a light would lead you to more information on a Holocaust victim’s name and his/her biography. Because the lights can be activated from different places and at different times, the memorial would be constantly changing. The Installation of 6 Million Stars intends to encourage the participation of young people through its digital interface. Among the many semi-finalists that utilize digital technology is M.A.R.K. (Memorial Augmented Reality Key). M.A.R.K. consists of physical markers and a M.A.R.K. mobile device app. 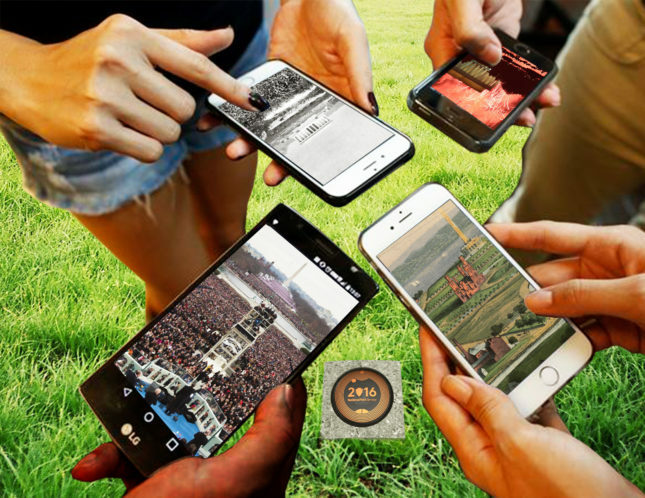 When a marker is scanned using the app, your phone can display different points in history of the landscape, “[adding] a visual and auditory layer of history to the existing scene,” according to the design summary found on the competition’s website. RFID, GPS, and your camera allow this virtual reality to be accessed. A timeline on your phone’s screen acts as a time machine, from which users can select a time period to see the surrounding landscape. 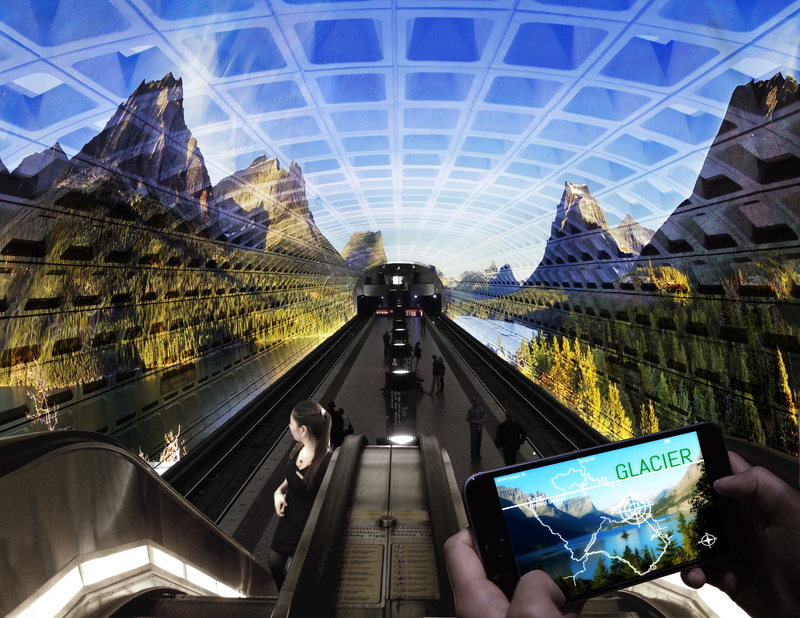 At a time when virtual reality experiences are exponentially gaining popularity, this type of memorial aims to fit into the dynamic environment of D.C. and encourage a broad audience to engage with history. Of the semi-finalists, many pay tribute to American history, environmental concerns, or current issues such as terrorism and gun violence. Finalists will be announced on June 8.